hairulovchessmaniac: No Malaysian "Top Horses" in KL Open 2008 and Singapore Chess Festival 2008 ? No Malaysian "Top Horses" in KL Open 2008 and Singapore Chess Festival 2008 ? I just received a message from FM Lim Yee Weng (photo right) that he will not be able play in the two upcoming international tournaments nearby - KL Open 2008 and Singapore Chess Festival 2008 due to job commitment. 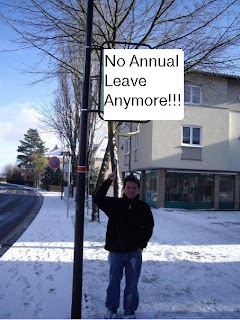 According to Yee Weng, he has already use his 7 day advance of his 2009 annual leave! I think this will be a great miss for Yee Weng to gain rating points to pass the 2400 barrier and confirm his IM title. He had a great year especially after 13th place in the strong DATMO 2008 tournament and the Royal Selangor 2008 where he won it convincingly. This will probably add to another absentees list for our top players after IM Mashafizul unconfirmed participation in both tournaments. Mas father health condition is getting worse lately.